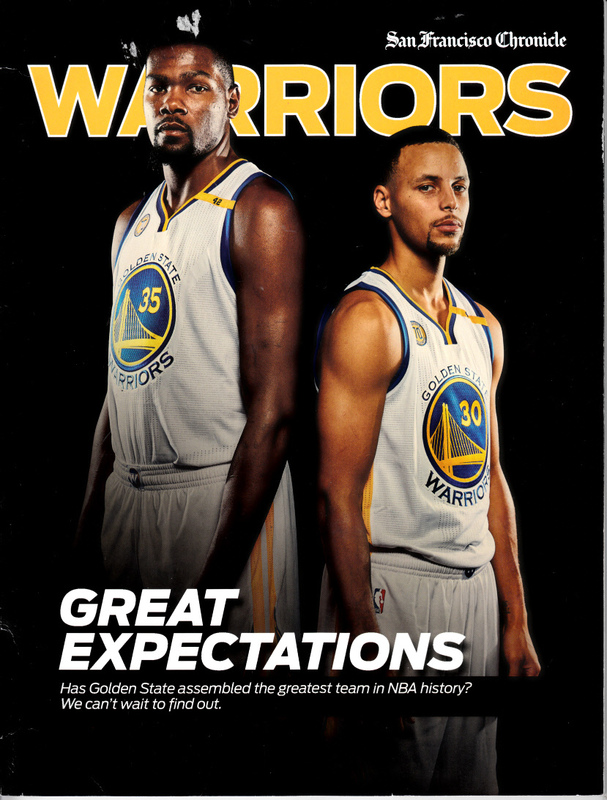 2016-17 Golden State Warriors GREAT EXPECTATIONS commemorative magazine featuring Steph Curry and Kevin Durant on the cover. 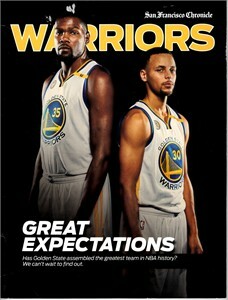 Produced by the San Francisco Chronicle with 96 pages of photos and stories about the team. HAS MODERATE HANDLING FLAWS AND WEAR. ONLY ONE AVAILABLE FOR SALE.